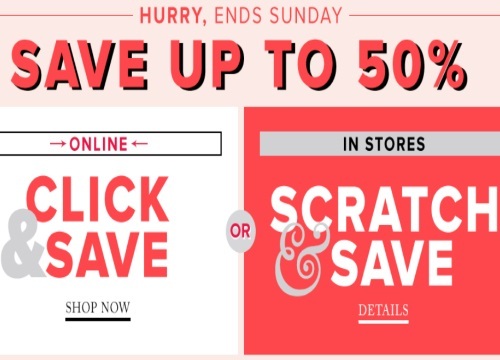 Hudson's Bay has a Scratch & Save Event on now! Save up to 50% off online and in-store. If you shop online, just click and save up to 50% off or in-store scratch a card for 1 in 10 chances to scratch the highest discount. Exclusions apply. Offer is valid Friday, May 27-Sunday, May 29, 2016.